August EP620 Bluetooth Headset – features A2DP and HD sound quality for a clear calls. The Bluetooth earpiece allows you to safely take calls whilst driving and the hands free speaker system is compatible with Android, iOS and Windows. For under a tenner you cant go wrong with this handy little headset, perfect for hands free mobile phone operation when driving, but also good for music and video streaming when you are not behind the wheel. There is a simple multi purpose button that allows you to call last number, answer calls, hang up calls, mute microphone or transfer calls easily. This unit uses Bluetooth 3.0 technology for good pairing and data transfer speeds, plus is suitable for sue with a wide range of popular mobile phones such as the iPhone 4/4S/5/5S/5C, plus almost all Samsung, BlackBerry, Nokia, LG, Motorola and HTC smartphones and tablets. The Jabra Talk Bluetooth Headset – offers HD call quality plus the useful Jabra Talk Multiuse feature which allows users to quickly and easily connect with two Bluetooth devices at the same time. This headset is great for staying in touch while driving as you can hear every conversation clearly, plus it’s easy to use and set up too! And when you’re not driving the headset allows you to listen to your favourite music or get other streaming multimedia with crystal-clear sound quality. The Jabra Talk Bluetooth Headset also offers a useful 6 hours talk time and up to 8 days on standby. Plantronics Pro Voyager Legend Multipoint Bluetooth Headset – this headset is a truckers favourite as it’s so comfortable it’s easy to forget that you are still wearing it! The Plantronics Pro Voyager Legend Multipoint allows you to choose which calls you take with simple voice commands and uses multi microphones to minimise background noise for better call quality, particularly when driving with lots of wind or engine noise. There are individual power, mute and volume buttons to avoid confusion, plus you can easily check the battery status using your iPhone or Android phone with the free Plantronics app. 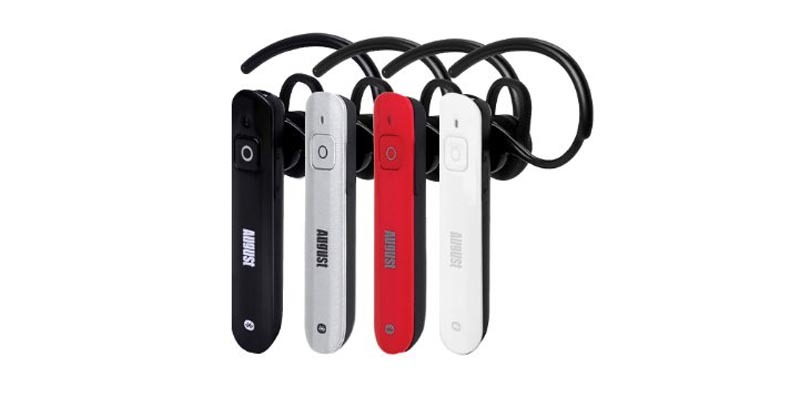 BT interphone Bluetooth Motorbike Motorcycle Headset – this wireless Bluetooth headset for motorcyclists enables mobile phone use at a range of up to 10 meters. Fantastic for rider and passenger intercom or even for bike-to-bike intercom if riding in formation. The battery offers up to 6 hours of wireless talk time using the intercom feature plus around 300 hours on standby. This headset also features DSP echo cancellation and noise suppression for crystal clear voice quality at all times, even at high speed.